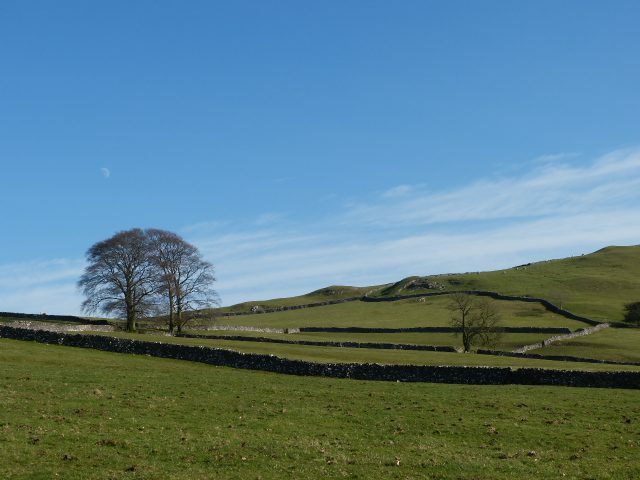 This weekend break is based in the ancient village of Hartington in Derbyshire and will allow us to explore walks in the beautiful Upper Dove Valley. Our paths beside the river will take us into spectacular limestone scenery, perhaps climbing to the unspoilt village of Alstonfield on one day, or heading north to the quiet upper reaches of the Manifold River on the other. Our accommodation will be in single and twin rooms at the comfortable 4* Hartington Hall youth hostel. Towels and toiletries are not provided but towels can be hired for a small fee and toiletries bought at reception. The public areas of the youth hostel retain a sense of the magnificent 17th century manor house it once was with log fires, oak panelling and a bedroom where Bonnie Prince Charlie once slept! The bedrooms are basic hostel rooms. Hartington village can be reached by bus or taxi from Buxton and by taxi from Matlock. There is an extra afternoon walk on Friday for those who can arrive by 2pm. We have an afternoon to stretch our legs and work up an appetite for dinner so will take a walk for about 3 or 4 hours. We’ll either head down across fields to Hulme End at the end of the Manifold Trail or up via quiet lanes and paths onto the Tissington Trail above Heathcote. About 4 or 5 miles with no more than 100 metres of ascent. We walk through the village, over fields down to the riverside and follow woodland paths and farm tracks up to the historic village of Alstonefield, which lies on the Staffordshire/Derbyshire border. There’s pub in the village in case we need refreshment or shelter. The return route takes us back down to the river Dove and we can follow either Wolfscotedale or Biggindale back home. About 8 miles and 220 metres of ascent. Depending on what time we want to leave, we have the choice of walks northwards towards, but not as far as, Longnor. We climb out of the valley and then walk northwards with good views down to the Dove. We either go to Bridge End or straight across to Pilsbury Castle, a fabulous viewpoint, and old motte and bailey site. The route back takes us up through limestone meadows on the opposite side of the valley. Approx. 5.5 or 7 miles and about 170 metres of ascent. Other options for our final day might be to go west towards the Manifold Valley, or east towards the Tissington Trail, depending on what we did on our arrival day. Price includes: 2 nights full board in twin rooms. Singles available if you book early! Single supplement from £10 per night.